Experiential education. What does that really mean? What is it all about? More importantly, and after this interview you will also ask, why are we not doing it more in our regular classes? Today I talk with Nick Cotton, Executive Director for Outward Bound of Hong Kong. 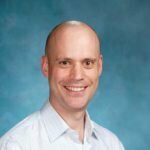 Nick has been working in International education for 20 years and recently took up the role of Executive Director at OBHK to focus on experiential education, having experienced its positive impact within the school setting for many years.